On a canvas four by six feet, Cooper has reproduced the county, drawn to scale, with each of its townships clearly indicated. As accurately as possible, Cooper attempted to include many historic incidents, placing them on the map where they occurred and giving dates and other information beneath the painted scenes. All the work is done in oil paints. The map is on display at the Lincoln County Historical Complex, where an entire room of the new addition is devoted to the work of Frank Cooper, one of Lincoln's most famous citizens. 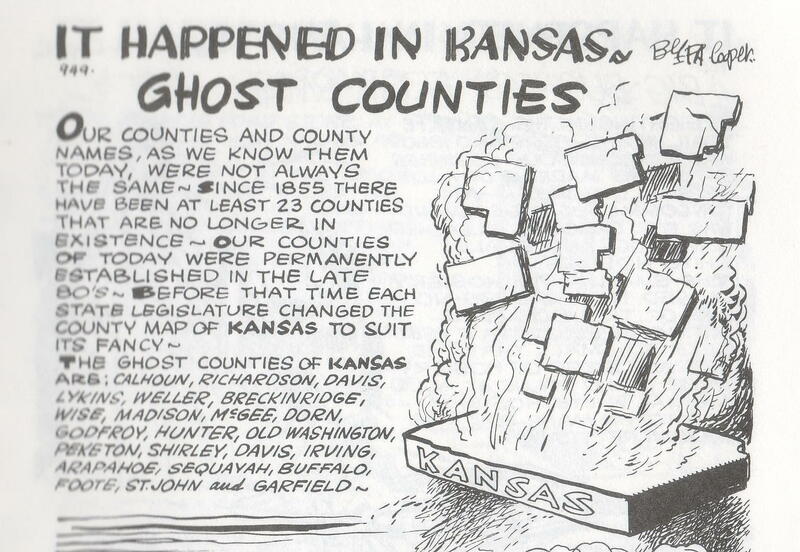 This is as example of one of his drawings that were published in Kansas newspapers for many years.